Tip $15 and get Physical signed CD copy of "Dig"
Amythyst Kiah was amazing! Beautiful and 1 of a kind voice! Great to watch live on Concert Window sonI know she's amazing live. 3 songs from full-length album "Dig"
Physical signed CD copy of "Dig"
Amythyst Kiah is a Southern Gothic, alt-country blues singer/songwriter based out of Johnson City, TN, which has been her permanent residence for nearly a decade. She has been performing in what is known as the Tri-Cities (Bristol, TN/VA, Johnson City, TN, Kingsport, TN) and in various parts of Southwest Virginia. Not only are her influences eclectic, but they span across decades. She draws heavily on Old Time music (Mississippi Sheiks, Son House, Jimmie Rodgers, Olla Belle Reed, Carter Family) and is inspired by vocal stylings of R&B and Country music from the '50s-'70s (Big Mama Thornton, Sister Rosetta Tharpe, Mahalia Jackson, Dolly Parton, Patsy Cline, Loretta Lynn). She also draws heavily from contemporary artists that have similar powerful vocal integrity (Adele, Florence and the Machine, Megan Jean and the KFB, Janelle Monae, Thom Yorke, Tori Amos, Bonnie Raitt). Needless to say, Amythyst has got a lot of tools in her vocal tool box, and is also well on her way to join the powerhouse vocalist pantheon. Her sound on her solo album, “Dig”, is raw and sparse, with heavy lyrical content regarding such themes as loss, betrayal, and murder. 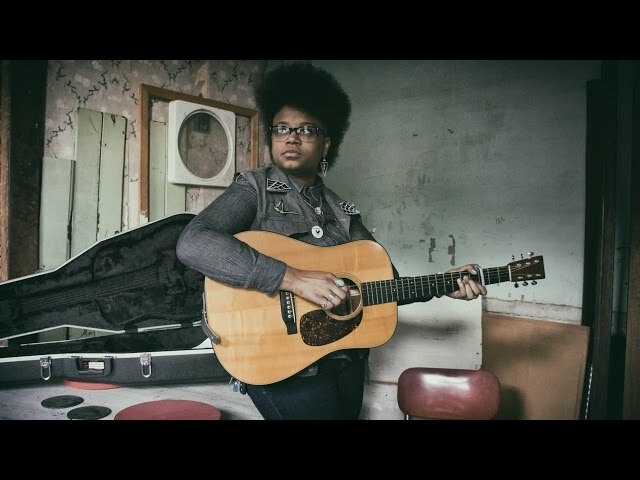 She has opened for such acts as Tim O'Brien and Darrell Scott, The Duhks, Megan Jean and the KFB, and has played the Smithsonian Folk Life Festival 2012 alongside the Ebony Hillbillies and Sparky and Rhonda Rucker, and has performed on Music City Roots.